Six major Swedish banks. One collaboration. 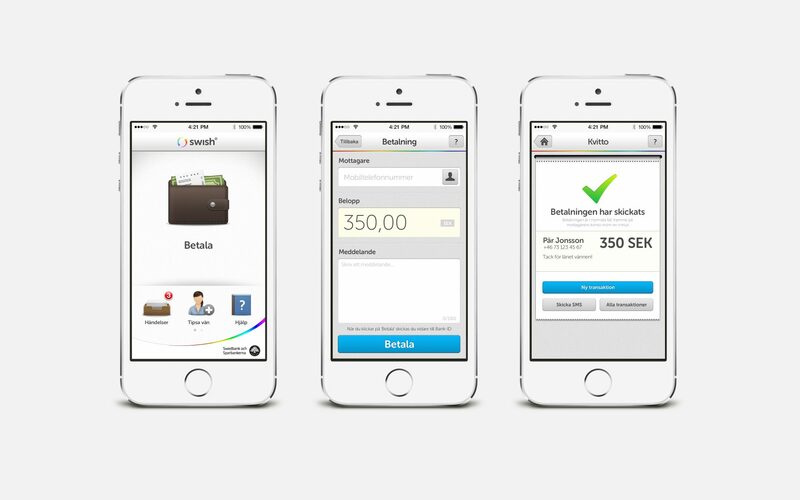 High ambition to create a unified mobile payment service. An entirely new service + new technology = a need for some creative new branding. Required: naming, brand platform, visual identity, mobile/web design and a tool box for launch communication. 'NEW'. More specifically how to make a ‘new’ technologically advanced service human and accessible. Less gadget for geeks, more everyday for the masses. A versatile identity and logotype capable of providing each of the participating banks with the ability to position Swish alongside their own individual corporate identities whilst providing some much needed humanity. A toolbox that combines human imagery with flexible colour palettes, typography, graphic patterns and design systems. Created to reach across media the resulting tools unite to build an accessible and credible brand. Note: SWISH launched in Autumn 2012 with immediate success. 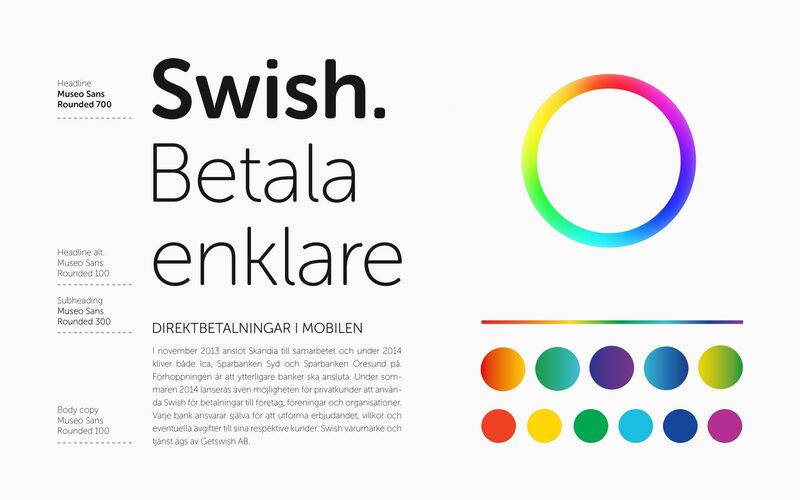 The launch website (getswish.com) was nominated in Svenska Designpriset 2012.